Gann’s Square of Nine is a horizontal support system developed by W.D. Gann in the early 1900s. Rumors saying that he has been using this system to achieve his legendary trade performance in the days where there were no computers to assist traders. 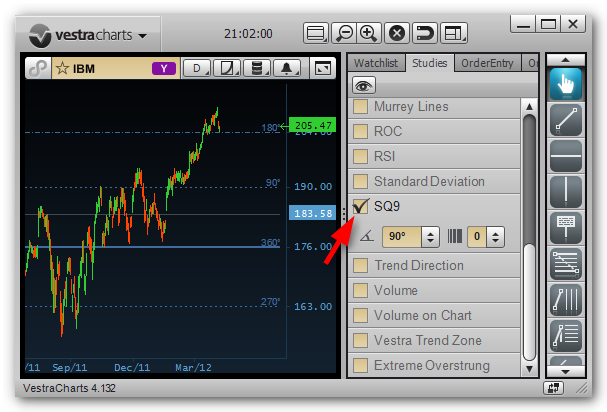 To view the Square of Nine horizontal lines on a chart, first click on the chart window to activate it. Then in the Studies window, click on the checkbox before SQ9. Since those days when Gann was using his system there were only stocks available for trading and their price range was between the $0-$100 range, the original calculation method is not applicable directly to today’s Forex currency pairs. 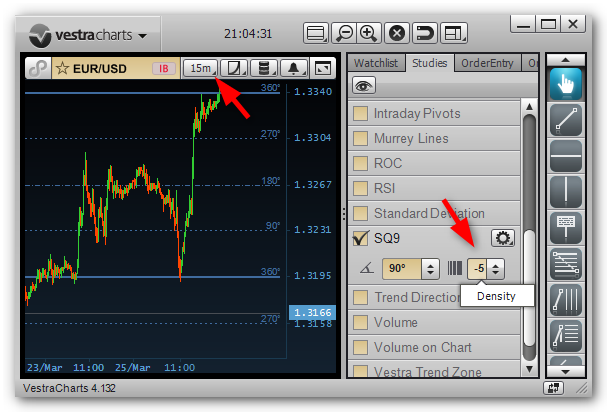 The Square of Nine calculation in VestraCharts has been improved to be suitable for Forex pairs as well. VestraCharts will automatically remember your Density settings for each Ticker code and Time Frame, and use the same settings when you return to the same chart again. 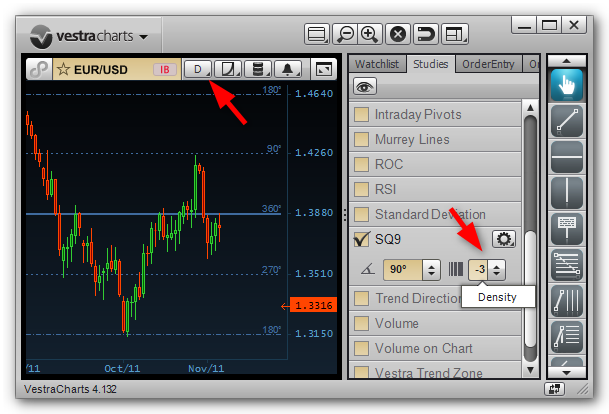 That way you can use Square of Nine on the different types of Forex currency pairs and different time frames comfortably. 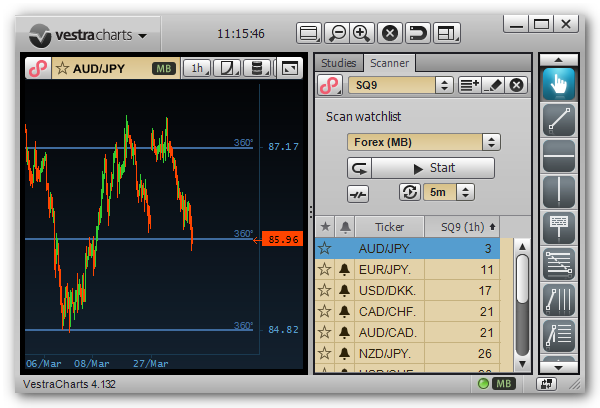 Using VestraCharts’ Square of 9 scanner, you can find Stocks, Futures or Forex currency pairs whose current price is near a Square of 9 price level on a selected time frame.